Come experience Guatemala from the heart of its Mayan culture. Raqui Lodge, located in Xenimajuyú, has all the comforts you'd expect from a nice hotel, a free homemade breakfast, and you'll be staying right in the heart of Mayan culture. Our home includes a traditional Guatemalan tamascal (wood heated sauna) Minutes from the Mayan ruins of Iximche, and centrally located between Antigua and Panajachel. Come be part of our family for a while, you'll wish you could stay longer. I am originally from South Dakota, but am currently enjoying the beauty of Xenimajuyú. My Guatemalan wife Raquel and I have 7 wonderful children that we're raising in this community and would love to share our home, food and experiences with any one passing by. We love different cultures and cuisines, beautiful views and open spaces. Location, Location, Location! Minutes from Iximche, centrally located between Antigua and Panajachel (Atitlán) and not in the overcrowded Guatemala City. Raqui Lodge lends itself to a relaxed, peaceful vacation. 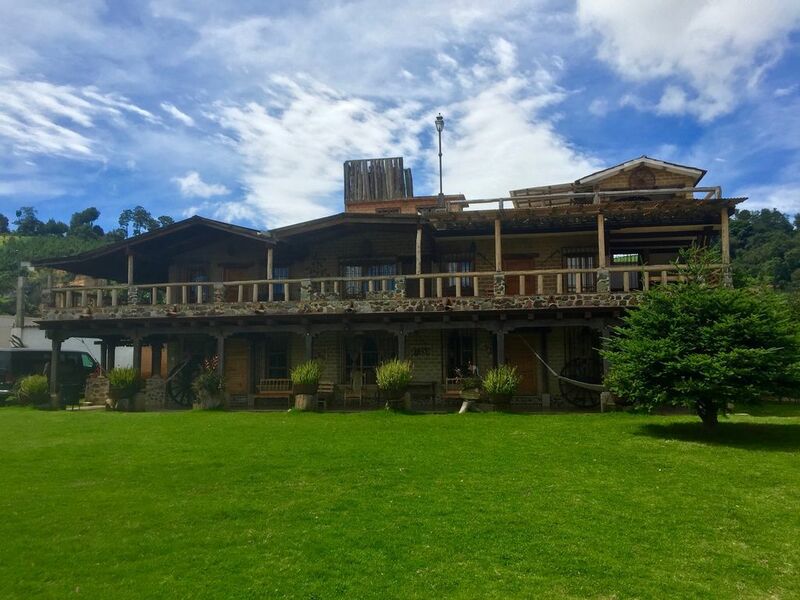 Surrounded by fields, but close to everything, Raqui Lodge will be one of your favorite destinations. Raqui Lodge includes a traditional Guatemalan Tamascal (wood heated sauna).